"I’ve known and trusted Carson over 20 years and he is truly passionate about our business with a strong sense of integrity. Our business and brand has grown exponentially under his guidance." The preeminent car designer of his generation, Chip Foose has created a legacy of designs and accomplishments that are well beyond his years. 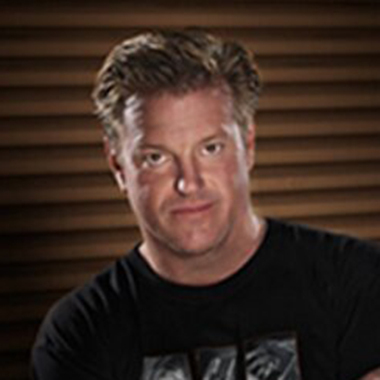 Known for his clean designs and sophisticated style, Chip Foose is a living legend in the automotive industry. His customization of classic American hot rods and muscle cars include the iconic and eye-catching Impression, Hemisfear, and Grand Master. Foose and his team turned clunkers into dream rides for nine seasons on the hit series “Overhaulin'”. In addition to his television work, his designs have also appeared on the big screen in movies such as Blade Runner, Gone in 60 Seconds and Pixar’s Cars. Vehicles designed by Foose have collected a number of awards. He is a four-time winner of the prestigious Ridler Award from the Detroit Autorama, eight-time winner of the America’s Most Beautiful Roadster Award, recipient of the Inaugural Good Guys Trendsetter award, seven-time winner of the Good Guys Street Rod of the Year Award and also holds a SEMA Best in Show. His designs have earned him a place in the Hot Rod Hall of Fame, the Darryl Starbird Rod and Custom Car Museum Hall of Fame, The Grand National Roadster Show Hall of Fame, The Diecast Hall of Fame and the San Francisco Rod and Custom Motorcycle Hall of Fame.